Hey friends- guess what! 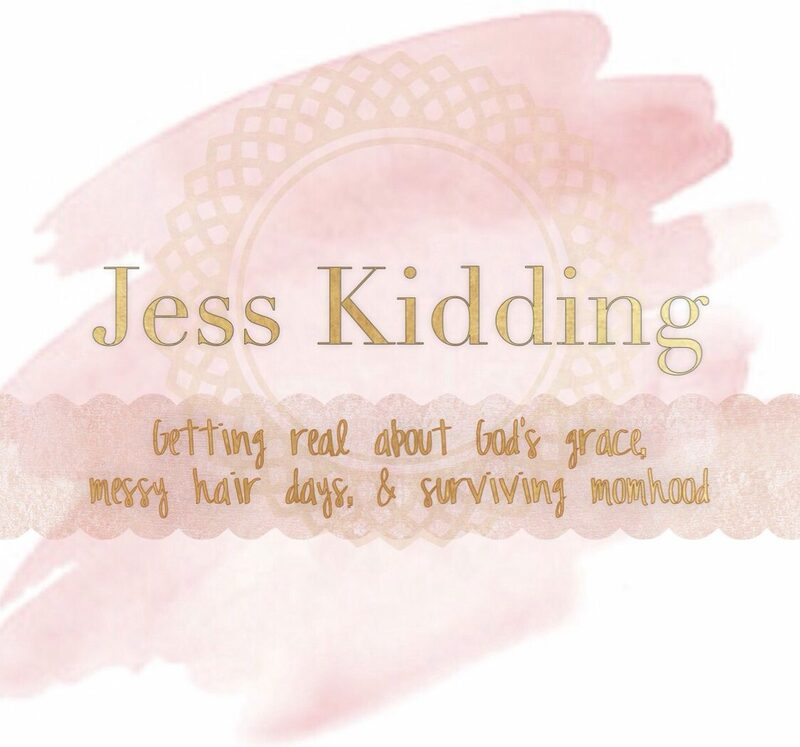 December marks ONE YEAR of Jess Kidding– and what a fun one it’s been! Throughout this year I’ve written a little, and learned a lot. I’ve met countless wonderful people through this online space, and have even been remembered by some of you for a few fun award nominations. I’m so grateful to each person who has taken the time to explore this blog, and I’m thankful that God helped me remember one of my true passions in writing. Well, you know what they say about accountability and reaching your goals! It’s important, or something like that. 🤷🏻‍♀️ So why not share a few hopes for 2019? The idea of setting goals for a new year has always been exciting to me because there is just something about making a list that makes my little Type A heart so happy. It’s such a great way to set an intention and bring about the hope and excitement of a positive change. Plus, sharing your goals with the ones you love usually means they can help you along, nudge you when your resolve becomes stale, or well, tease you when February comes and you’ve forgotten about a few of them. I have been so captivated by the idea of minimalism. I’ve read and researched the intentions behind it and how to go about making decisions and taking action to declutter your life. I am a person who loves organization and wide open spaces, and am looking forward to taking steps toward living with less and filling my heart with more of what matters. (Any quilters out there?!) I’m a crafty being at heart. Creating makes me content and over the last year I have come to love sewing. I’ve been studying quilting at the good old school of YouTube and just bought my first true quilt pattern and supplies. I’ve made blankets and rag quilts but can’t wait to get started on a real quilt. That’s right. I’m not looking to lose a bunch of weight, or committing to running 5 miles a day. I just want to make a small change to make my life a little healthier. Being the first one up when the house is quiet and spending quality time with God has made an extraordinary change in my mood, my attitude, and my life. It’s my goal to keep this up! There you have it! I try not to set goals that are so big that they become discouraging or impossible. Instead, I like to focus on just a few things that will bring a little more peace and happiness into my life. I think each of these things can also help me to bring peace and happiness to others as well. If my space is less cluttered, it can become a better space to show hospitality. If I become a successful quilter I can have something meaning to gift to people to show them love. If I’m healthier, I teach my kids to be healthier. And if I stick close to the words of God, I can live by them and help others to do the same. If you’d like to hear more about my progress with decluttering, quilting, or any of these resolutions, let me know in the comments below. I’d also love to hear what some of you are resolving to do in this new year and be a source of encouragement for you! I hope 2019 becomes a year of many blessings and easy lessons for you all. I hope that the changes you make bring you closer to Christ and closer to each other. And I hope that you are led on the path that God has set for you, and never stray from it. I came across a great post recently with tips on how to start your morning like a Proverbs 31 woman. ‘Teach me your ways, oh blogger,’ I thought to myself as I clicked on the link. In true millennial form, I skimmed through the bullet points first to determine if it was worth reading through- ‘I have a busy day, after all. Projects to sew, baby to chase.’ You get it. As I skimmed I realized a couple of things. First, I caught myself wanting more. More information, more reading on this topic, more Proverbs 31 traits applied to my life. Oh to be this super hero woman the Bible talks about! But the second thing I noticed surprised me. ‘Wait a minute,’ I thought. ‘I already do some of these.’ With each tip I reflected on my own habits, which to my surprise were aligning nicely with the advice in the post (though there is surely much room for improvement.) Let me just say that I can’t take credit for this though, as my morning routine has most definitely been shaped and helped along by the Lord who knows I need Him before I tackle my day. As the months have gone on I find myself getting up earlier and earlier, eager to sit with Him each morning. The increasing contentment I find in this has not been lost on me, and is undoubtedly God’s way of shaping my morning habits and my heart. Oh! Would you like a slice of humble pie with that big dish of tough love? Am I the only one who honestly appreciates being served hard truths like these? Sometimes you don’t even realize the state of your heart on a matter until someone comes along and reveals it for you, which is what I felt these statements did for me. It’s not difficult to make your work out to be an enemy, especially when it’s tiresome, you feel unappreciated or unseen, or you lack a sense of purpose in it. My attitude toward my workload has definitely changed for the better over the past year and a half since I’ve been home, but still, I know my heart needs work. Nevertheless, I’ve slowly developed my own helpful morning habits and thought I’d share with you all today. Below are a few things I do that help to keep my path straight throughout the day and plant in me a positive attitude toward my work. Yes, this one took a while for me. I’d tried to sneak in my Bible time in other ways, but found that it wasn’t as productive as it could be. And what’s more, being flexible about that time turned into skipping it entirely when other needs came up. By starting my day early I ensure that my quiet time with God is not compromised, and is a non-negotiable part of my day. What I’ve found is that I’ve been waking up earlier and earlier over the last months and am even happy to get out of bed in the mornings. The Lord leans in to help (and boot us out of bed) when we take these steps of faith! Before any other words come between me and God, I thank Him for what I already have. Giving praise has a way of resetting your heart and setting the course for your attitude. As the stay-at-home mom of a toddler, I make sure to allow as much flexibility as possible in our schedule. I do however like to make a ‘To Do’ list that I can work through during the day. Having a plan doesn’t necessarily mean that every moment is mapped out, but more so that there is a clear intention for my time. If I am intentional I can fill my time in a meaningful way, rather than let the enemy fill my schedule with meaningless distractions. We all know our weak spots, and so does God. But do we bring these to Him? I know that as I sit and plan my day, the enemy plans right alongside me and tries to trip me up. My weaknesses make an easy target for him to get me off track. But if I’m diligently praying for the Lord’s help and provision in these areas, I am doing more to set myself up for success than any list ever can. Knowing your identity in Christ and letting Him make you beautiful from the inside out is key! When you are firm in your understanding of your true identity, you will find that your beauty routine begins to lose its purpose. Steps and products begin to disappear from your regimen, and become replaced by confidence as a woman of Christ. This allows more time in your day to spend with Him, and more space in your heart and mind to be filled by Him. I definitely find that anytime I start making changes and forming habits that strengthen my faith, the Lord meets me where I am. It’s said in Philippians 2:13 that God works in us, giving us not only the power, but also the desire to do what pleases Him. This is definitely true, especially when we start taking the baby steps. I hope this little post will help you to consider your own morning routine and what you can do in those early hours to set you on the right path for the day. I would love to know some of the things you do in the morning to worship, study, schedule, or get closer to God. Let me know in the comments below!